The Marathi movie about intolerance is a part of the Indian Panorama section at the International Film Festival of India. The tone of Nipun Dharmadhikari’s Dhappa is set in the very first scene, when a schoolgirl tells an auto rickshaw driver not to use a mobile phone while driving. Soon after, the young protagonist, Akash Kamble’s Surhud, educates his driver about judicious fuel consumption. 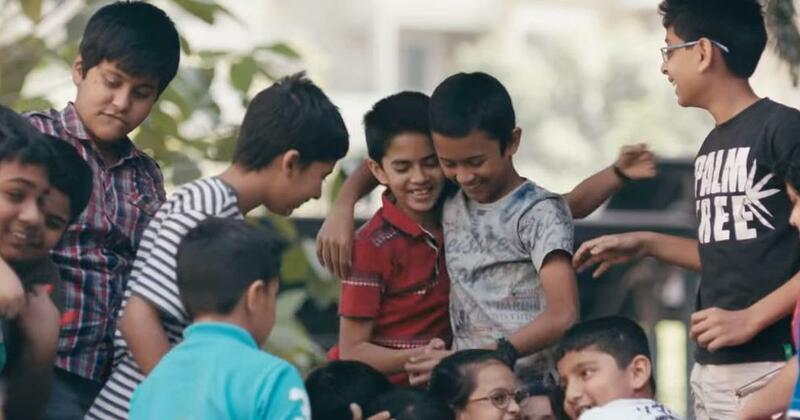 Early into the Marathi movie, it’s clear that the children in Dhappa’s universe are conscientious, informed, determined, and most importantly, innocently optimistic about the world. This innocence is challenged when members of a local political party vandalise a Pune housing society on learning that a play planned by the neighbourhood children for the Ganesh festival has Jesus Christ as a character. The goons threaten the children and the director (Vrushali Kulkarni) and insist that a play for Ganeshotsav should only be about the Hindu deity. This baffles the teenagers – they can’t fathom why the inclusion of Christ would be contentious given how enthusiastically they celebrate Christmas every year. Dhappa won the Nargis Dutt Award for Best Feature Film on National Integration at the National Film Awards this year and is being screened in the Indian Panorama section of the the ongoing International Film Festival of India in Panaji, Goa. The film will be released by the crowdfunding platform Wishberry on February 1. Dhappa addresses topical themes such as unity and diversity and freedom of expression and so, “even though the story is told from child’s perspective, it is not a kid’s movie”, Dharmadhikari told Scroll.in. Dharmadhikari started his career as an actor and director in Marathi theatre before branching into cinema as a writer (Nautanki Saala) and actor. His second film Baapjanma was released in 2017, before Dhappa. In the digital space, Dharmadhikari has written the Eros Now show Side Hero, starring Kunaal Roy Kapur, and co-hosts the popular Marathi mock YouTube talk show Casting Couch with actor Amey Wagh. Girish and Umesh Kulkarni have co-produced Dhappa, while Girish Kulkarni wrote the script with Dharmadhikari. Dharmadhikari is aware that his film addresses hot-button issues such as religious tolerance and censorship, but that does not concern him. “Of course we are making a statement on the current scenario but nowhere was it explosive or taking sides of one particular community or blaming one community,” he said. “So, I didn’t bother about it”. Casting Couch with Amey & Nipun.